All of the adrenaline-packed excitement of the game, quantified. This category included all entries in the area of sports, hobbies, gaming & leisure activities. 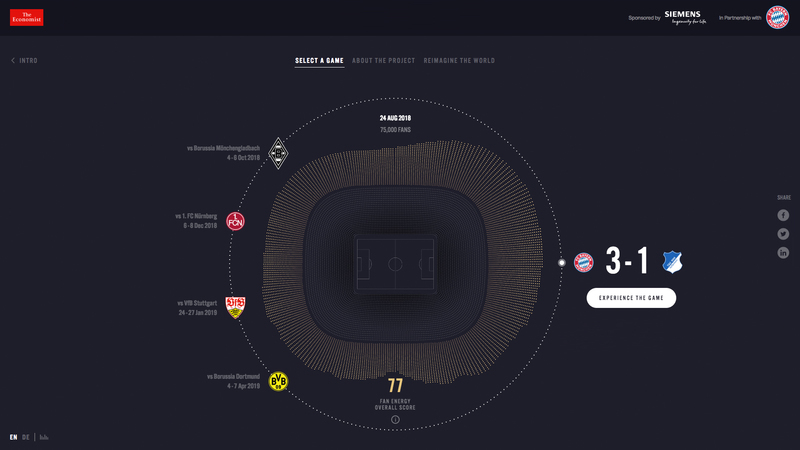 Experience FC Bayern matches by listening to thousands of data points captured within key moments in the game. 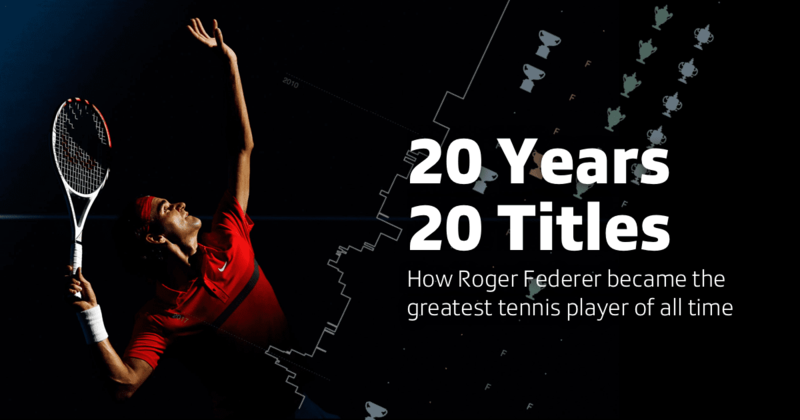 Revealing how Roger Federer became the best tennis player of all time. 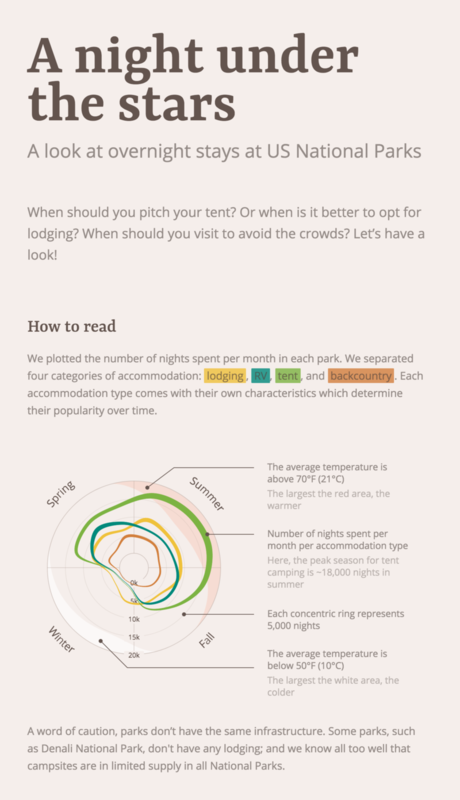 This piece explores overnight stays in US national parks & uncovers some surprising patterns.